With the launch of their GeForce 20 Series parts already well underway, it was only a matter of time until NVIDIA updated their low-end parts as well, and that time has finally arrived. 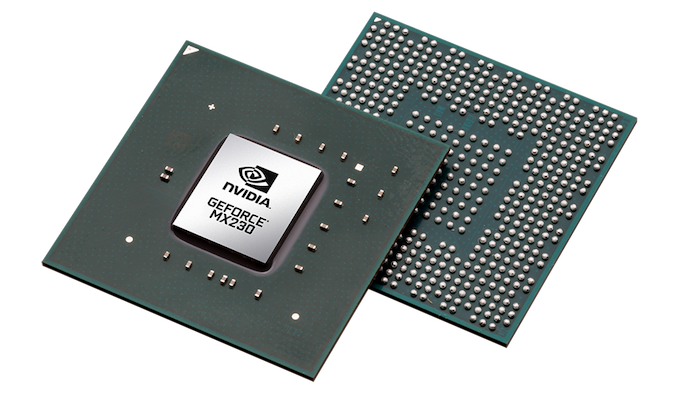 Quietly published on NVIDIA’s website this morning are the product pages for the GeForce MX250 and MX230 graphics processors. The entry-level members of NVIDIA’s laptop lineup, these Pascal parts will eventually replace the current GeForce MX110/130/150 parts. As has annoyingly become tradition for NVIDIA, they’re officially saying very little about the new parts. The official specifications don’t include anything about clockspeeds, CUDA core counts, ROPs, etc. 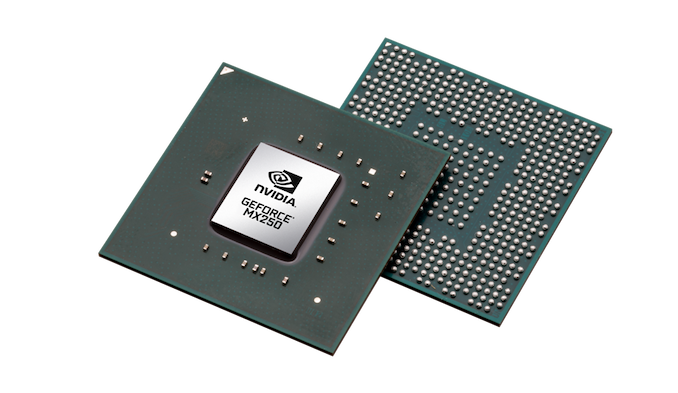 Instead, NVIDIA only confirms a basic set of features: both parts use GDDR5 memory, both feature GPU boost functionality, and both are based on the company’s Pascal architecture. Taking a stab in the dark here, these are almost certainly cut-down GP108 parts, similar to the previous MX150. So we’re looking at 384 (or fewer) CUDA cores at various frequencies, attached to GDDR5 over a 64-bit memory bus. NVIDIA’s low-end parts have typically been half a generation or so behind their leading parts, so the MX250 and MX230 are no exception. Despite this, as the previous MX130 was based on Maxwell (GM108) and sometimes paired with DDR3, this is actually a big step up for these parts. Still, clockspeed is going to be everything here as far as performance goes, as these low-end parts tend to ship with a wide variety of clockspeeds depending on what a laptop manufacturer needs. NVIDIA for its part does once again offer their “GeForce Performance Score”, but since these values are relative to a floating target – in this case the UHD 620 iGPU in Intel’s Whiskey Lake-U i5-8265U, the scores can’t be compared to past NVIDIA parts. Not that it matters for NVIDIA or its customers, as NVIDIA is competing with Intel’s iGPUs as a first-tier performance upgrade, not competing with their own past parts. In this case, NVIDIA is touting their parts as offering 2.6x and 3.5x the performance of the UHD 620 respectively. Based on NVIDIA's previous release cadences for their low-end laptop parts, xpect to see these new processors show up in laptops in the very near future. Traditionally these parts are paired with Intel U-series processors, and I expect to see the same here. The fact that Intel's Gen10 graphics is vaporware, that is probably the reason why nVidia has been able to procrastinate so long on the low end. IF a manufacture decided to wire the external outputs to the GPU instead of the Intel Graphics, then this would have a place. Outside of playing 10 year old games, there is no performance increase in having these GPUs for any kind of desktop work, which is where the intel actually suffers. I run many monitors off laptops and as everything always goes via the Intel and you cant witch it off, there are dropped frames, high latency and just bad performance across the board. Funny enough, close the lid on the laptop, plus in an Nvidia 1030 in a Thunderbolt 3 box into the external monitors and performance is fantastic, no laggy latency issues.